Includes phone and battery only. No cables or sim card included. 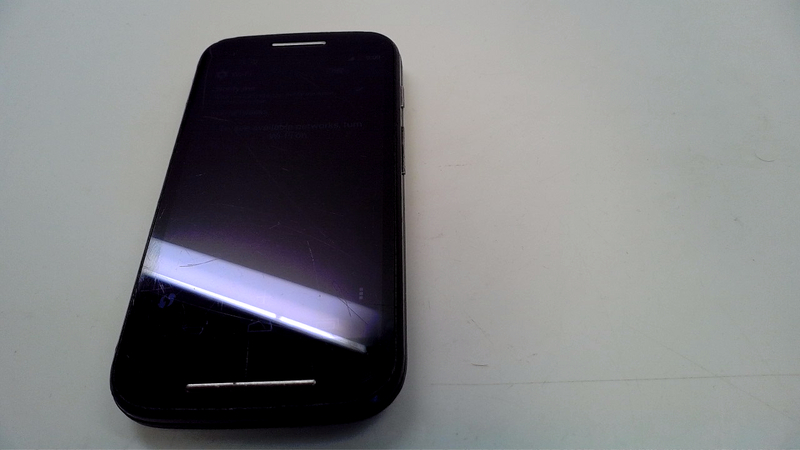 *2 INCH LONG SCRATCHES SCATTERED ALL OVER SCREEN & REAR, SCUFFED SCREEN, REAR & CASING. * Device has some scuffs, scratches and/or dings. Bad ESN. Tracfone. Size: 4.91" x 2.55" x 0.48"
4.3" qHD Touchscreen at 256ppi (540x960) and Gorilla Glass 3. 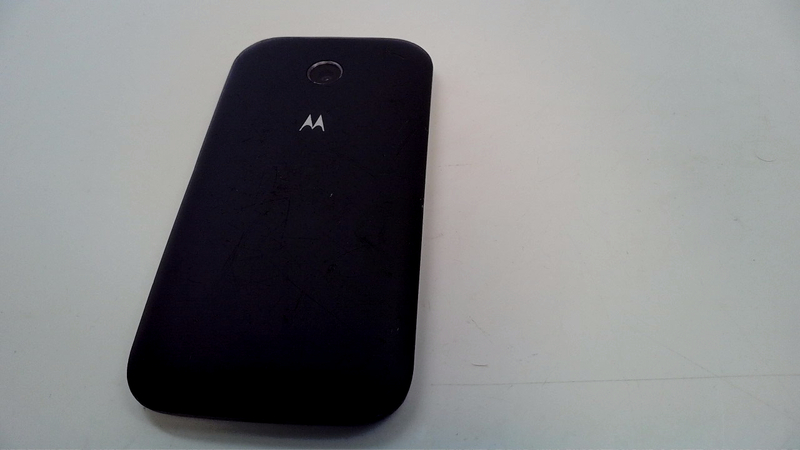 4 GB Internal Memory, up to 32 GB External MicroSD slot. 1980 mAh battery with 16.5 hrs talk time/30 days standby.